Cats need to be kept hydrated. With the PetSafe Drinkwell Pagoda in your home, there's no need to worry anymore. We know cat water fountains have been around for some time, but we’d never really stopped to consider the health benefits (and potential risks!) that the different models available offered. Considering you’re here reading this, chances are you’re just like us. If you’ve just popped by to find out what the best water fountain for cats is, then we can happily point you in the direction of the PetSafe Drinkwell Pagoda, which is as good as they get. 9 Still not satisfied? Here’s one to keep your eye on..
10 How do water fountains benefit your cat? 13 What do you look for in a water fountain for cats? If you’ve ever had the pleasure of seeing your cat drink from a running tap, I’m sure you won’t need it explained to you that cats prefer drinking from running water. Some experts on feline behavior think this might be down to them being to hear the trickle of water. Others speculate that it may down to an inherent distrust of standing water, running water always seems a safer bet for most wild animals, so it’s likely that cats’ instincts are no different. Luckily, we live in an era where you can provide your cat with running water in your own home with a good water fountain. In most cases, the water capacity shouldn’t bother you too much. 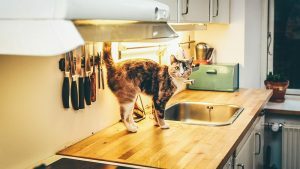 If you plan on being away from home for a while and have automated preparing meals for your cat, then the capacity is something you need to be weary of. Many of the cat water fountains on today’s market don’t like running low on water and some can even burn out if they run completely dry. We’ll take a look at which drink dispenser will suit your needs best, and how you can avoid the common disappointments other owners have seen. Here are the best cat water fountains that provide a steady flow of clean filtered water all day long. 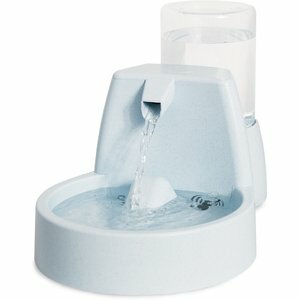 While most water fountains look a bit out of place in kitchens, the Drinkwell Pagoda from PetSafe looks gorgeous. If you can afford to pay the difference between this and the original Drinkwell models, it’s totally worth it. It behaves pretty much the same but looks a thousand times more classy and fits well with modern decor. It has a 2 liter capacity which is far from the largest on our list, but the 360 access to water means it can happily serve multiple cats providing you’re around to add more water periodically. The two streams make a faint splashing noise, not enough to annoy you but just enough to attract cats to the sound of running water. As with the others on our list, it filters the water with activated charcoal filters that are removable and (in some cases) re-usable after being swilled left out in sunlight. It’s top level dishwasher safe, though you still have to disassemble most parts to get the hard to reach areas cleaned which can be a little annoying at times. Another thing we love about this is that the pool at the top of the fountain gives another place for our cat to drink from. Since that is constantly bubbling with a fresh supply of clean water, cats are much more likely to approach this water fountain and drink. A low voltage submersible pump keeps things safe and quiet, no audible humming until the the water fountain runs dry. It’s an all ceramic water fountain which is great for keeping cats away from any potentially harmful plastics and it looks simply stunning. Well worth the extra few bucks. Read more glowing reviews using the button above. This ceramic fountain has snuck in between the PetSafe models on our list, and deservedly so. Despite it’s product picture depicting water going everywhere, it’s actually very neat and tidy. The ultra fine foam filter system keeps water clean and fresh while removing any fur or hair that falls in while your furry friends are enjoying a drink. It’s almost silent (yes, really!). The design is perfect for both the submersible pump and the flow at which water reaches the bowl. It makes almost no noise at all unless you’re sat right next to it. The two liter capacity is enough to keep a few cats happy at once for up to a week at a time, and since it’s quite compact, it’s a good water fountain to take traveling with you. It takes barely any assembly to be up and running and you can trust that your cats won’t be able to knock it over and spill water all over the place. We really have to put up here with the best because of how quiet this water fountain is, and how attracted our cats were to it. Click through to see more people talk about how much they loved this product. The original PetSafe water fountain was one of the first successful models and as a result shaped the models that succeeded it. It’s unbeatable value for money and still performs as well as you could hope. For quite a chunky unit, the 1.4 liter capacity always seemed quite disappointing. Because of this and the demand for larger capacity cat water fountains, they released a bonus 1.4 liter tank, pushing the total capacity up to a very respectable 2.8 liters. With the bonus reservoir (which adds barely anything to the cost of the fountain itself) this classic can compete with the more modern models well. As with all the water fountains featured on our list, it’s BPA free ceramic and is totally safe for use. The free-falling stream entices cats into drinking more water and it really does work. In our experience the longer stream sticks out more for cats than the flower style water fountains. The PetSafe Drinkwell Platinum has an enormous 4.8 liter capacity making it the best water fountain for multiple cats. It looks quite pretty, though not as pretty as the Pagoda water fountain we’ve ranked as our favorite and it’s definitely one of the most reliable models out there. The carbon filters used by the PetSafe water dispensers aren’t really expensive but the bundle deal that is currently available gives you an extra three carbon filters to keep your cats’ water clean for the near future. It’s fallen to the middle of our list because it’s not the easiest to clean, but the double filter system means that having to clean the entire unit is a rare thing. One thing we really love is the long 5 inch stream. It gives cats plenty of room to drink the water, and because it hits a ramp before the water it’s actually surprisingly quiet. It’s a really high quality piece of kit that falls just short of being the best because of it being a little tricky to clean, otherwise a fantastic water dispenser for those with multiple pets. The MOSPRO Flower Fountain is a new arrival on the scene of cat water fountains, and it’s received stunning reviews so far. The first and most noticeable thing about this water fountain when you turn it on, is how quiet it is. It has to be up there as one of quietest pet water fountains we’ve ever seen. You get three water flow settings; the standard flower waterfall that’s seen elsewhere, a “gentle fountain” mode and a flower bubble mode that we loved. Oddly enough, one of it’s biggest selling points is that it only uses 2W of power and can run completely dry for up to a week. Perfect for those who are away from home. It’s around the same price range as other lightweight plastic fountains, but you do get two spare filters along with it, so in the medium term you’ll save money when compared to the others in it’s price range. 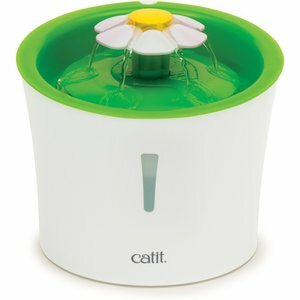 For those (unlike us) who previously thought the Catit water fountain to be the best buy, then surely it’s time to consider this newcomer as it’s successor. Every other review of the Catit Water Fountain we’ve seen as rated it as the best around. It’s cheap for an automatic water dispenser, granted, but that cheapness is part of the reason we’ve put it last. We’ll explain why shortly. First lets highlight the positives. 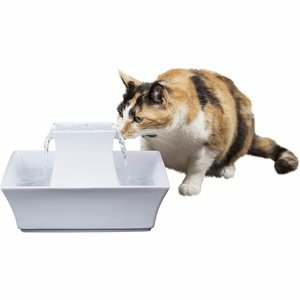 It’s pretty to look at, it has a smooth open surface that makes it easy for cats to spot the flowing water, and it’s very easy to clean. The Catit Water Fountain is good at filtering any hair, fur or dirt that falls into the water before it gets cycled back out, but we did notice the filter got a bit clogged up quicker than the rest. It’s one of the easiest water fountains to put together, the pieces snap into place without any hassle. There’s a downside to how easy it snaps together though, and that is that it’s just as easy to snap apart. Too many times we came back to find our cat had managed to disassemble the top and scatter the (wet) pieces all over the kitchen. It’s also pretty lightweight, so it slides around with very little force applied, though it is designed specifically for cats, so we aren’t too surprised it isn’t built with that in mind. Maybe our tabby is a little too rough for it, but it’s a nice affordable option nonetheless and we’d recommend it for anyone on a bit of a tight budget. Still not satisfied? Here’s one to keep your eye on..
We regularly re-evaluate and re-think our articles to make sure they’re fresh and up to date. Our most recent look at the market highlighted an exciting (relatively new) water fountain emerging from the European market. We’re talking about the Miaustore’s Ceramic Cat Water Fountain, an elegant water fountain that features 8 different drinking areas. The design and quality of the product looks set to blow the current competition out of the water (see what I did there?) as they gather a foothold in the US market. The good news for you is that they already ship to the US market. Take a quick look using the link above, we’re sure you’ll be as impressed with the attention to detail as we were. Most cat owners who give their cats water from in a bowl will have realized by now that their cats really don’t enjoy drinking from bowls. Running water is much more appealing for your cats. Not only can they see it (and hear it!) easier, they also consider it a cleaner source of water instinctively. Acquiring a water fountain for your cat is an easy win. Providing clean running water for your pet is a matter of great importance, running water is both fresh and healthier for your feline friend. Perhaps one of the most enduring reasons why cats prefer running water is the fact that they were once wild and retain some of those hunter instincts. Providing your cat with running water reduces the chances of your cat contracting a wide array of diseases from diseases that thrive in standing water including; urinary tract infections and kidney problems. A bit of evidence for this is that cat foods that promote urinary health are more often than not wet foods. Here are some reasons that may shed light as to why a water fountain for cats is a good investment. Cats do not like drinking from stagnant water sources. This is the main reason why your cat tip’s the water bowl or paw at it to check if it’s drinkable, they don’t have great vision over short distances so it can be hard for them to tell. Cats are very cautious of what they ingest. Water or food that has been placed on a bowl may have smells or tastes that are not agreeable with your cat. It’s also often advisable that you place your new water fountain across the room or in another room to their food so as to avoid affecting your cat’s eating habits. Cats have a relatively low thirst drive. This has everything to do with their origin. Wild cats’ primary source of water is the prey they catch and eat. 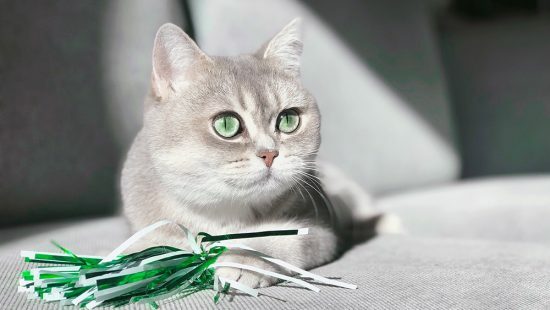 This nature may be the cause of a myriad of health issues for your domestic cat including kidney problems and urinary tract infections. Apart from these reasons, getting your cat a water fountain is also a matter of convenience for both of you. You will not need to keep on having to change the water from the bowl several times a day. Any top cat water fountain will circulate the water through filters by itself to keep it fresh and clean. Water fountains normally come equipped with a replaceable charcoal water filter. The purpose of this filter is to purify and to remove any odor or taste that may stop your cat from drinking water. Remember water that sits in a water bowl becomes stagnant and filled with food debris and harmful germs. If you are going to insist on using bowls, ensure that you maintain high standards of cleanliness. If you wouldn’t drink the water yourself, why should you expect your feline friend to? It is important that you refill the water in the bowls each time you feed the cat. Secondly for those using water bowls, make sure that the bowl does not keep on slipping and sliding as your cat drinks. This can be remedied by placing a non-skidding mat under the bowl or dish. Cat owners are also advised against using plastic bowls. Chemicals and detergents used in the plastic itself can find their way into the water. This will give the water an unpleasant smell and cause health risks the cat will not drink the water. In order to avoid this situation use bowls made from ceramic, stainless steel or glass. 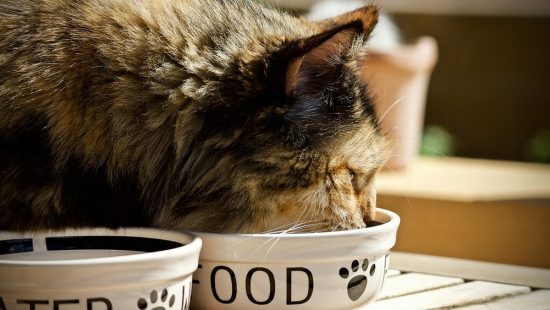 Last but not least always ensure that the water bowl is big enough to enable your cat to put its head in without having its whiskers brush the sides of the bowl. Cats, like us human beings instinctively associate running water with safety and cleanliness. Drinking fountains for cats are equipped with charcoal and foam filters that rid the water of smells and tastes that are unpleasant as well as scoop up any hair or fur that falls in. Investing in one of the best water fountains for cats will set you in good stead and make maintenance fairly straightforward. Water fountains, bowls and dishes require regular cleaning and maintenance so as to keep bacteria at bay. They keep water moving and flowing so that it cannot become a breed ground for harmful bacteria. They also encourage cats to drink water regularly since the circulation makes the water more oxygenated and fresh. It’s also nice that you are not required to clean them daily with soapy water. A bi-weekly maintenance is however recommended. Changing the carbon filter regularly (every 2 months or so) ensures that the water is well purified and does not contain chemicals and only minerals that are healthy. Over time the fountain can also become clogged with hair and dust particles. This will slow down the water’s circulation process which in turn, creates a conducive environment for bacteria and fungi to grow. Make sure you dismantle the fountain once in a while so as to conduct a thorough clean-up of the system. 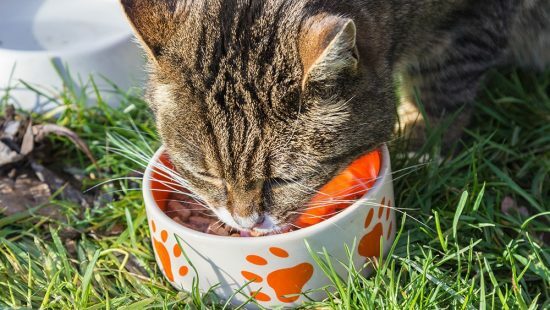 As a pet parent you need to be observant of your cat’s eating and drinking habits. If your cat is a messy eater and drinker, chances are that he/she leaves slobber or debris on the fountain. This will require that you conduct a thorough clean up regularly to stop bacteria from growing. Last but not least, be sure to follow the instructions the manufacturer gives in relation to cleaning and maintenance to the letter. What do you look for in a water fountain for cats? This usually contains a sponge that surrounds the pump through which the water passes through. They come in different sizes and their life span varies from one brand to the other. It is also referred to as activated charcoal. It consists of carbon; this element is used because it absorbs toxins and impurities. Carbon is not harmful to your cat even upon ingestion. Carbon papers should be replaced after every week or two. This is something that requires careful consideration because most of us are usually very busy. If your fountain is not easy to clean chances are that you won’t clean it often. This is not a good thing for your cat. When buying a water dispenser, it is important that you invest in something that will last you a while. Certain components of the dispenser may require replacing from time to time. but you that’s to be expected. Pumps should last for several years before being replaced. Most of the time, manufacturers usually attach large warranties to the sale of dispensers. These warranties typically last a year at the very least, meaning if your pump breaks within a year it should be fixed for you free of charge. Make sure to check before ordering replacement pumps out of your own pocket. This might not look like something worth considering but the truth of the matter is, it does need to be. If you plan on placing your cat’s water dispenser in your closet, then aesthetics don’t matter. If you plan on placing the dispenser in the living room, you might need to consider a few things like color and model appearance. Choose a water dispenser that flatters the interior decoration of your house and one that you won’t get sick of seeing.